Our Superior Suites offer you a spaciousness duplex area with a king sized bed and LED tv in the bedroom upstairs and a luxurious bathing area, well equipped basic amenities to suit your comfort. Downstairs we offer you an extended balcony with an impeccable swimming pool view. 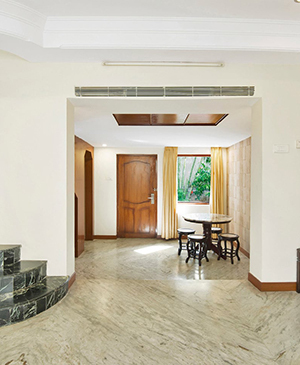 We also give you a spacious living area to enjoy family time. Our Executive Suites are designed to allow you your privacy yet give you the beautiful pool view and a spacious bathing space with basic amenities to suit your comfort. 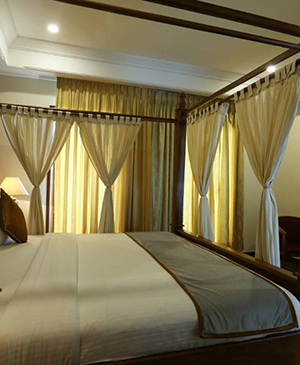 The bedroom comes with a king sized bed and an LED tv for your entertainment.